In November 13th 2015 I earned my first Gold !. 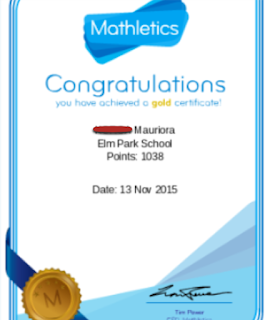 But sadly I've only got one because I didn't really play Mathletics that much. I didn't know that I was going to get one because I thought I only had got sixteen bronzes.